Make Those Great Shoes Or Boots Feel As Good On The Inside As They Look On The Outside! It's the time of year when we bring out our cutest winter shoes and boots and show them off! But as stylish and fashion forward as they look on the outside, they don't always feel that good on the inside. But we ladies often pass up comfort for fashion but guess what? You no longer have to! 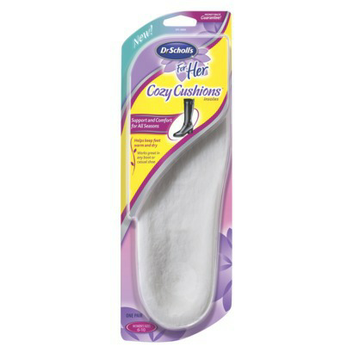 Let me introduce to you Dr. Scholls For Her Cozy Cushions! Yes, an insole that gives your feet comfort with a warm, fuzzy cover to give your feet a sweet, cozy treat. These insoles offer the wonderful support and impact resistance that Dr. Scholls is known for but with the added warm, comfortable, fuzzy cover to keep your feet toasty and dry in all the elements. My feet are cold, year round and they tend to ache (thanks again Fibromyalgia) so when I found these little treasures in my Influenster Rose VoxBox, you would have though the box was filled with diamonds! I had no idea Dr Scholls For Her made these! But now that I do, I will be putting these insoles in my boots AND my sneakers! There are no hard and fast rules saying that only boots can have fuzzy insoles. My feet are warm and cozy, they are dry and comfy and I am IN LOVE with the Cozy Cushions! 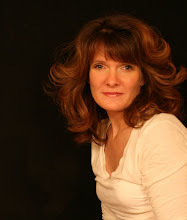 I recommend them for everyone and I HIGHLY recommend them for my Fibro-Friends! Go out and get some....then come back and share your story with me! You will be happy, I guarantee it! 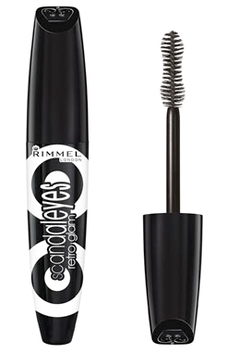 I Have EYES, Thanks To Rimmel London! I received a tube of Rommel London's Scandaleyes Retro Glam mascara in my Rose VoxBox from Influenster. Now, I have to admit, I have been through (literally) dozens of different mascaras from dozens of different brands and never really been thrilled with any of them. Either I have to apply 100 coats to my wimpy lashes and then they feel like concrete and flake, stick together and it takes forever to take off. OR I have messy application smears all over my face OR my eyes burn like someone poured shampoo into them. I use an eyelash curler as well. It's a tiring thing trying to make lashes from the tiny things I have! So when I got the Scandaleyes Retro Glam, I was more than excited to try it! The brush is big and shaped differently than most, like an hour glass. Just pulling the applicator, I saw that there were no clumps, nor did it splatter everywhere. The mascara went on smoothly and suddenly I realized......I'm actually NOT going to have to sit here and put on 100 coats! My lashes thickened, lengthened and there were no clumps or smears and my lashes were not heavy at all! I absolutely LOVE this product! *Wink*.....you see that? You see those luscious lashes? They aren't falsies....they are Rimmel London's Scandaleyes Retro Glam mascara!